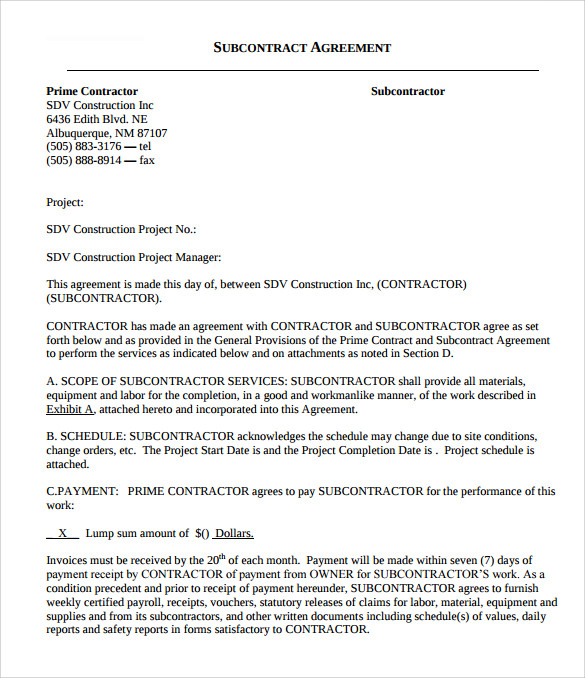 With a load of business and work to be completed, a successful contractor needs someone to help him to get things done on time. 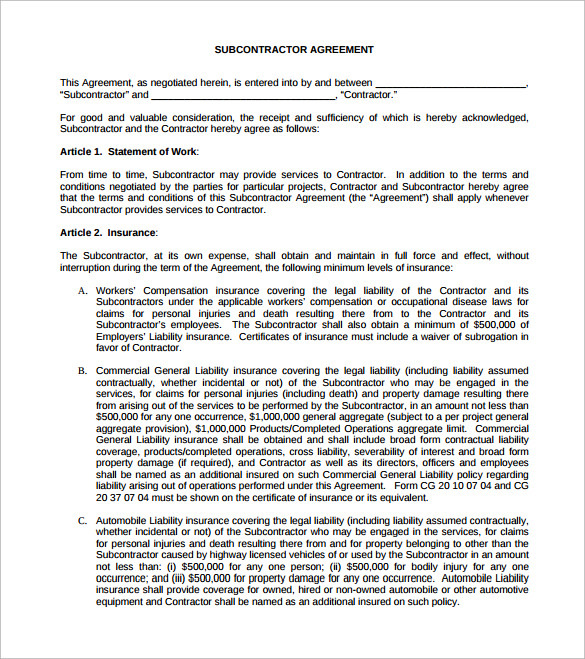 A subcontractor agreement includes all the explanations regarding the work that has to be divided. 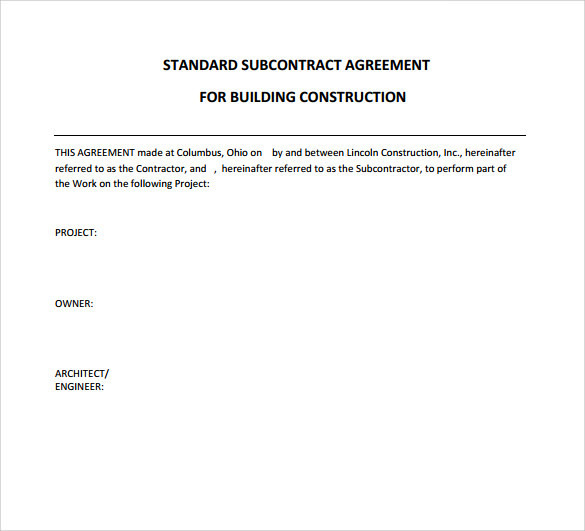 It is the document that is solid legal footage for any proof in future. 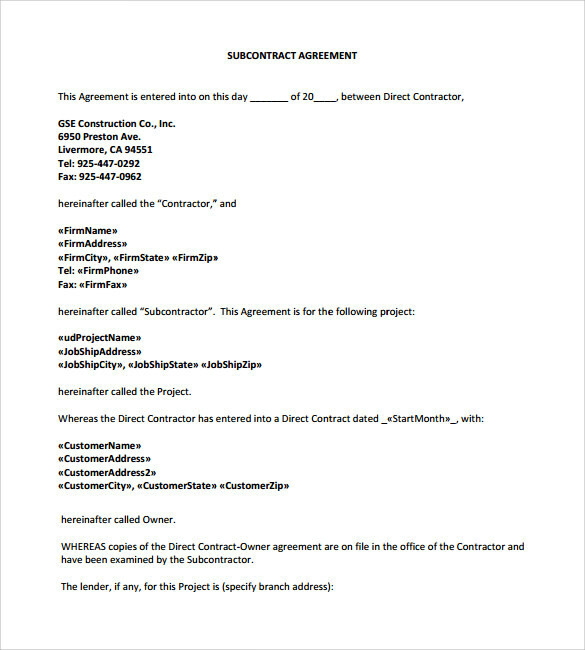 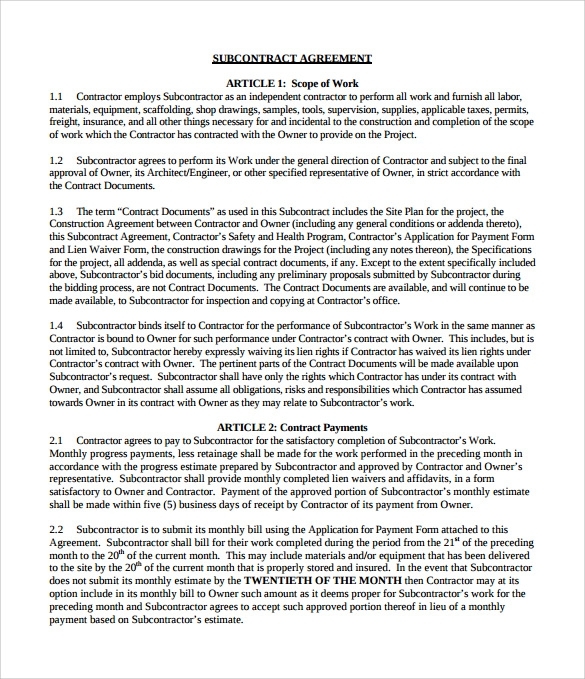 The details in the agreement you can focus on getting the construction project completed on time. 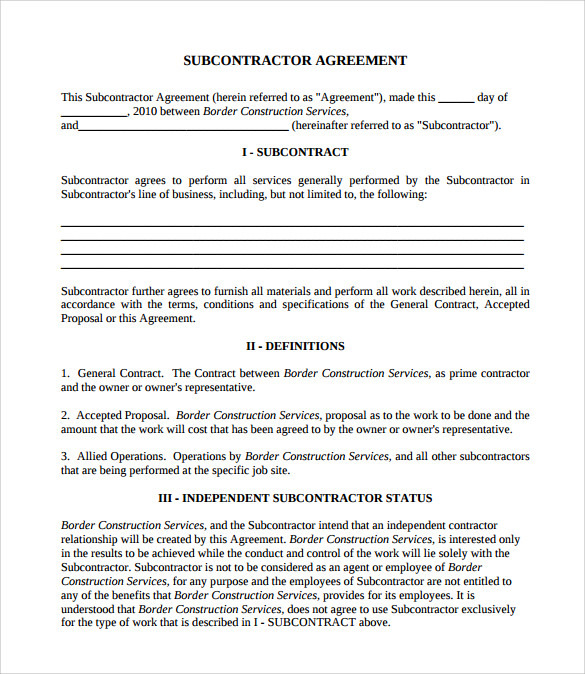 Now get the easy downloadable contract for Subcontractor online that can be used for professional purpose as well. 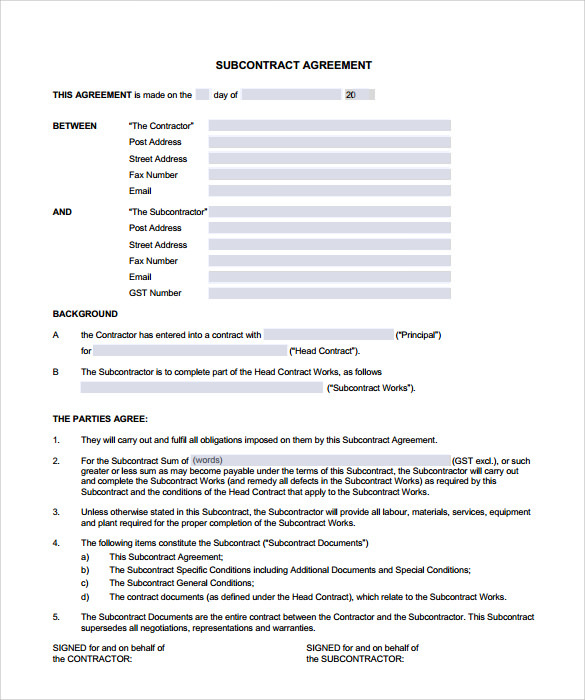 The Coaching Contract Templates covers all the needed terms and details, but if you need any changes you can customize accordingly.